If you want uPVC windows in Colchester for your home or business, choose the experience and expertise of Colne Valley Windows. With our extensive product range, you are bound to find a window that suits your needs. At Colne Valley Windows, we are passionate about providing each and every one of our customers with an outstanding service. Our trained team have over 25 years of hands-on industry experience and a great deal of knowledge about uPVC windows. When it comes to installing windows, we always consider ourselves humble guests and will respect your privacy and personal space. So, contact us today to hear more about how your home or business could benefit from uPVC windows in Colchester. Most modern windows are now made using a building material called uPVC, which stands for unplasticised polyvinyl chloride. There are several advantages to uPVC and for this reason it is used to make doors, fascia boards, cladding, and plumbing materials as well. First and foremost, uPVC is one of the lowest maintenance building materials available. Even in the most adverse weather conditions, uPVC will not warp, rot, or rust. There is no danger of it fading either, meaning your windows will look good for many years to come. The only maintenance uPVC requires is a clean every so often, while scratches can easily be removed with a polish. It is water resistant, fire resistant, and completely recyclable too. We Love What We Do – Our fitters are always smiling and ready to meet the needs of every single customer. 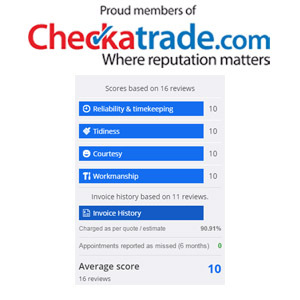 They are passionate about home improvements and this shows in the quality of their work. We Truly Care – We feel that the right care can ensure success, which is why Colne Valley Windows does what it can to protect your home or business. 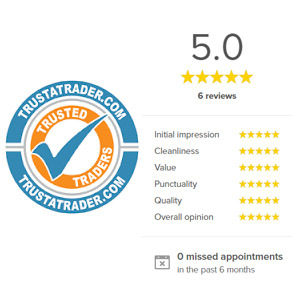 Our customers trust us to get the results they want. You Can Leave It To Us – Doing It Yourself doesn’t always guarantee a positive outcome. But with our knowledge and experience, you can rest assured any job is carried out to high professional standards. We Promise Value and Quality – Colne Valley Windows is committed to providing customers with excellent value and an exceptional service, regardless of your lifestyle need, design preference, or budget constraint. For the widest and best selection of uPVC windows in Colchester, don’t hesitate to contact Colne Valley Windows on 01787 827382 or request a call back using our online enquiry form.